just talked to a neighbor today , he said he was working with the cattle. said it's not a good day for ranching. said he lost a number of head. both calves and cows. because of the wet muddy ground under the snow. it was near impossible to work in the pastures. I guess this happens from time to time but you never really get used to it. 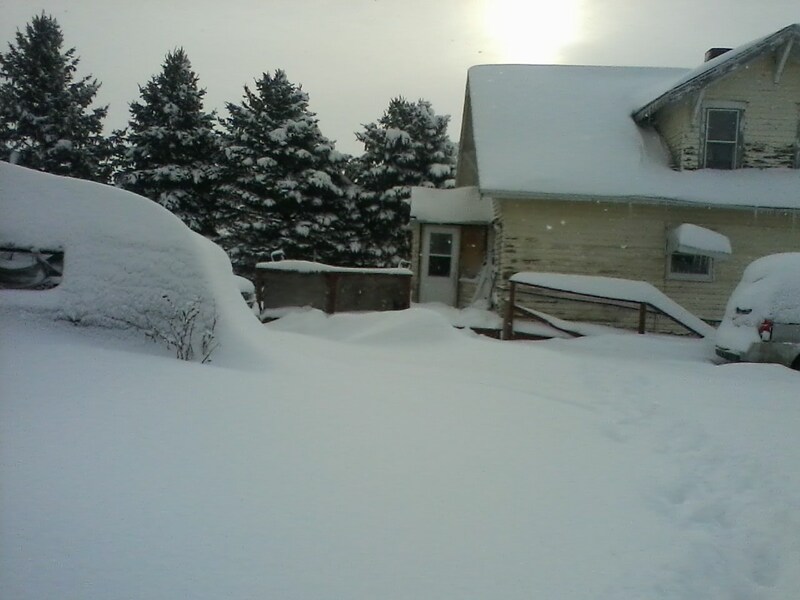 so far were still snowed in. the county trucks might swing around monday or so i guesstractor is still broke down. the truck battry needs a jump, get started on that when the snow stops. a number of folks round here raise cattle to one degree or another. my bil has bout 500 or so head in a cow-calf operation. in about 2weeks. i don't think so this season. so hows ranching holding up in your neck of the woods? Maybe slightly off, nothing extreme. A lot of folks are running out of feed as this was a tough and cold winter in these parts so a lot more was fed than in a normal year. Hay is expensive right now and there are lot of ranchers talking about letting a few cows go early this year. We have not lost any calves so far but there is still a month or better to getting them on pasture for the summer. Grass should be good if it ever dries out and the sunshine fgets to the ground for a few weeks. Hay is going for $175 a ton if you can find it and the stuff from out of town is that plus freight. Our current forecast looks like a wet April to the end of the month. We love the moisture but it is so muddy right now you can't do anything in the fields. Temperatures aren't going to improve much, either. This is for the last week in April, published yesterday. My family's ranch in northern nm is extremely dry and getting them water is going to be a huge issue this year. The Jemez mountain snow pack is 4% of normal, that right 4%. My uncles are going to have to sell off the majority of them because they have no water. Drilling an additional well, aprox 65,000 dollars is out of the question. So here it is not the cold that is killing them but the lack of water will. Yeah, it doesn't look good. Heather was supposed to fly out of Sioux City yesterday to deliver a presentation at a conference in Anchorage, but couldn't make it because of the blizzard we were experiencing here. We could see the plane repeatedly circling the airport on the computer......after a period of time, it was rerouted to Omaha and the connecting flight would have been impossible to make, so she stayed home. She called her brother in Anchorage to let him know she wouldn't be coming up and he said it was 60* with a cloudless sky up there. The best climate/weather I ever lived in before getting to this area in NW Montana was in Anchorage. That was us only a couple weeks ago. Hang in hayshaker. Looks a bit more like a heaven than a frozen hell. Do you have any needs that could be taken care of by mail?